PICS: Ciara's fairytale wedding was stunning! Y'all....this is so sweet! Ciara got her fairy tale ending after all. Don't let anyone tell you different, magic does exist. In case you haven't heard singer Ciara and NFL player Russell Wilson's nuptials in Peckforton Castle in Cheshire U.K. were beyond fabulous. They nailed the whole "prince and princess thing", they went all out! Russell looked dapper in a custom made Giorgio Armani suit while his groomsmen all wore classic Armani tuxedos. So who was in the stunning bridal party? Ciara's makeup artist Yolonda Frederick-Thompson served as maid of honor in addition to beautiful bridesmaids LaLa Anthony and Kelly Rowland. Ciara's son served as a ringbearer and he wore an Armani tux as well. 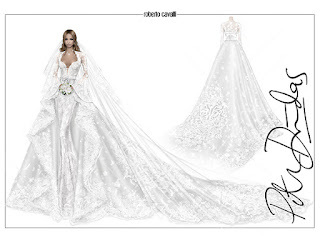 Cici's dress is so stunning. 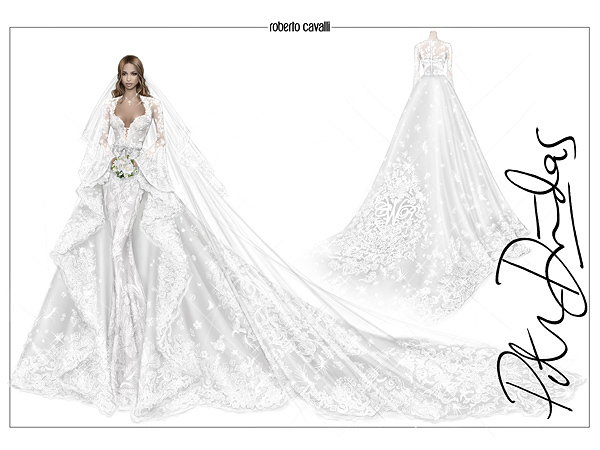 Ciara’s one-of-a-kind Cavalli Couture gown features chantilly lace and floral appliqué with a long train and veil, while her bridesmaids all wear custom black stretch stain dresses designed individually for them by Michael Costello, with input from the bride. Post wedding, the couple had a bit of fun on Snapchat. As you may know, Ciara kept her "Goodies" under lock (Russell's suggestion) and per the Snap - all bets were off wedding night. It seems they consummated the wedding in style. Wilson slyly quips, "From what we did last night, I'm gonna do it multiple times." "Sure wouldn't lie," Ciara added. They have a list of approved caterers and valet parkers which you are required to choose from. The event coordinator from wedding venues nyc was very professional and cool enough to let us come in and tour on a Saturday while another wedding was setting up.